The Power Of TED Talks - Everything You Need To Know! What are TED Talks and what makes them an important asset for the Gen Z? Back in college, I landed on a Simon Sinek video that spoke about inspirational leadership. He spoke about why some people are able to make it to leadership roles, about what a difference an effective leader can make and about how team strategies can make a massive difference. It was brilliant! In the span eighteen short minutes, I was able to understand the deeper truth about leadership qualities. That's what Ted Talks does. They make gaining knowledge easy for you! TED is a nonprofit organisation that uses short influential videos and power talks to spread ideas and knowledge. TED, which stands for technology, education and design, has been organising TEDx events with 18-20 minutes talks since 1984. In more than 100 languages, the TED Talks have been spreading ideas amongst communities around the world. What Is TED Talks’ Format? TED works in two main formats - TED and TEDx. While TED deals with its subjects on a global level, TEDx typically focuses on local communities. In TED-style talks, a speaker interacts with the audience without using notes, which make the format feel more relatable and authentic. These talks are personal and the speakers are passionate about the topic they choose. TED Talks are kept concise, somewhere between 5-18 minutes and are smartly written. While it feels like a smooth speech from the speaker as they are sharing their own perspective and experience about a subject, these talks are well rehearsed and each word of a TED Talk counts. There's always an 'ah-ha' moment included in the speech and that's what makes it weighty. A speaker has to work really hard on editing an emotional and experienced piece to make it sound crisp and valuable. The powerpoints and props presented on the stage of TED and TEDx are finely designed and lit. As TED has a more global approach as compared to TEDx, an entire team along with the presenter takes care of the props and PPTs and designs them precisely. The speakers are not paid to present a TED talk, hence, the talks are solely based on their passion for the topic. How TED Started & What Is The Purpose Of TED Talks? The idea was conceived by a graphic designer and architect, Richard Saul Wurman but it initially failed financially. The second event was organised after six years of the first one. In 1998, TEDMED was founded by Ricky Wurman under an independent event operating license. After no activity was seen at TEDMED, Wurman decided to sell the organisation to entrepreneur Marc Hodosh and Chris Anderson, who redesigned the format and relaunched TED. By 2006, TED became an invite-only event with a ticket priced up to $4,400. Later, TEDx was started by Lara Stein. The main agenda behind TED was to share and spread knowledge and fresh ideas, mostly about technology, education and smart design fields. However, over the last few years, the platform has gained a lot of popularity for addressing sensitive topics interesting youth, mental health, girl power and so on. How Much Does A TED Talks’ Ticket Cost? It started with an invite-only ticket amount of $4,400 in 2006. By 2007, the annual membership prices for conference shifted to $6,000 and in 2018, it reached $10,000 (Rs 7,05,800 approximately). However, the cost of each event and membership plan varies and rises up to $2,50,000 (Rs 1,76,44,000 approximately) for a 5-year plan. Can Anyone Give A TED Talk & How To Do It Right? If you've been a part of school speeches and enjoy being a part of debates, you may relate to TED Talks a bit differently. You may find the role of a speaker to be much more interesting than being an attendee. But can you be on the stage addressing the hand-picked crowd? So the good news is that you can be a part of TED in various ways. You can apply to become a TED speaker and also opt to organise your own TEDx event for the local audience in your community. It's easier to become a part of TEDx comparatively. While applying and submitting your notion to TED, you need to be yourself and believe in what you're preaching. If you decide to go ahead with the TED application, you will be asked to submit about six essays. A surprising and impactful story is always appreciated. Adding references to your application helps a lot. However, make sure your reference knows you well and has experience in the same field you're addressing. It improves the chance of creating a better impact. Speak about the work you have done and keep it concise. Instead of attaching your social media links to the application that might have nothing to do with the message you're trying to convey, link the work that shows your true self. Give your application, essays some time and don't rush it. Prepare them in your words, let them be a mirror of your beliefs and your personality but stick to the topic. If you are an inventor or a businessman, remember to not make it sound like a sales talk. TED is not a platform that encourages the promotion of your product, platform or business. They are interested in good content that increases the knowledge and is in the interest of the audience. Ideas are of a great value for TED, the fresher and the better. How Do You Write A TED Talk? 1. First, find an idea you want to share and are truly passionate about. 2. Discover and practice the new ways of narrating the story. Make it catchy and unexpected. Keep a problem-solving approach. Break it down with the inception of the issue to the process you went through to the solution. Take everyone on a journey along with you while exploring the topic. Speak about how you ended up with the perspective you are sharing. Play with different narration techniques. 3. Collect all the information related to your idea. A conversation worth sharing, a quote, facts, metaphors, personal experience or a prop that you might need to explain your idea more clearly, make them a part of your presentation. However, make sure you stay focused on your main point. 4. Make it a piece that caters to the audience. What are the points that are of service to the listeners and what makes it important for them? Expand on those. Make those points pivotal and let everything else work around it. 5. Make your closing strong. You can easily grab your audience's attention by a surprising statistic, a real-life story, a thought-provoking question or perhaps an unexpected observation. Education, being a vital topic of discussion amongst every generation, remains one of the most talked about subject at TED. A discussion that starts from a kid and moves up to the teachers, makes all the difference in a generation's perspective and TED is well aware of that. So here are a few best TED talks on education. Rita Pierson, who belongs to a family of educators and is an educator herself, presented her views on the modern education system. She understands that every kid needs a role model and no kid learns from the person they don't like. In the talk, she shared how and why it's important to make the students feel special. 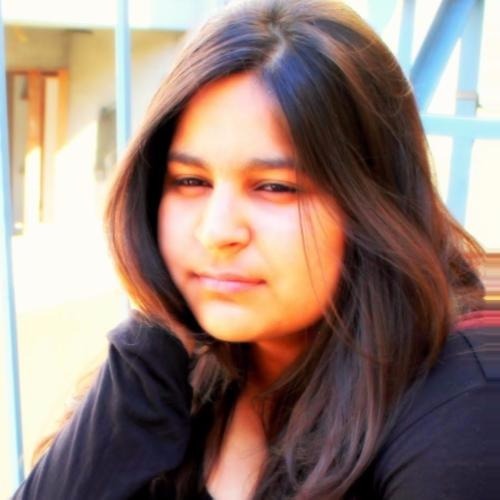 She shared incidences and her encounters with her students that supports the philosophy that with kids, positive words can make a positive impact. The most pleasurable moment in a teacher's life is when a student comes and says "you made a difference in my life". So if you wanna know how important and sacred a student-teacher relationship is, go ahead learn from Rita Pierson! Sir Ken Robinson, another mastermind educator who is a fan of ironic references, has taken over TED stage many times. In his presentation about 'how to escape education's death valley,' he talks about the three principles that are crucial for a human mind to flourish and how the current education system is against that whole notion and hence, it kills a child's creativity. It ignores the individuality of each child. With his time on stage, he explains how to get out of the educational death valley and how to nurture your child's personality instead of losing it. Motivation is one of the basic needs of a human being and that's why motivational speakers often play an important part in our lives. A well-crafted speech can do wonders and TED's empire is based on that simple truth. Here are few presenters who taught the art of motivation so well that we're still hooked to their words. Scott Geller, alumni distinguished professor at Virginia Tech and director of the centre of Applied Behaviour Systems in the Department of Psychology. In 'the psychology of self-motivation', Scott explores the idea of encouragement. Here, he speaks about the three questions that can reveal a man's mental situation. He speaks about the importance of feedback and mindfulness. Mel Robbins is a married working mother of three, an Ivy-educated criminal lawyer and a career and relationship experts in America. She speaks about the destruction that the word "fine" is and how speaking the truth, the harsh truth that you're not fine in your situation, can make all the difference. You have to switch from being fine to being fantastic! Everybody is running after success but only few can see it, feel it, have it? No, on the contrary, everyone has a right to taste success for themselves. Success is not a copyrighted object. But the biggest question is how? How do you reach a place where people start calling you successful? Well, you are the only one who can decide that but here are a few TEDx talks that'll bring you in line with the concept of success. Did you know you can program your mind for success? Carrie Green, who started her first online business at the age of 20 while studying Law at the University of Birmingham, has a lot to say about success. What stops you from becoming successful? Fear, obstacles or perhaps the lack of motivation. Green explained the same with a small experiment. In her talk, she speaks about her personal experiences. Is there a specific path that can help you achieve your most ambitious goal? The answer is what you decide it to be. Stephen Duneier, an author and a coach, can teach you how to become a great artist in five seconds. His words will convince you to think about every single decision you make because even a decision as small as not eating your breakfast affects your life. Their name doesn't need an introduction. The reach of celebrities is so high that they become one of the more impactful influences in the world. What they say and do makes a deep impression on the fans and learners. In his innovating to zero speech, Bill Gates speaks about climate change. He talks about his vision for the world's energy in the future. He believes, rather knows that only a miracle can save the Earth's climate from a catastrophic end. There's a reason he is backing a nuclear reactor. He's aiming for zero carbon emissions by 2050, globally. 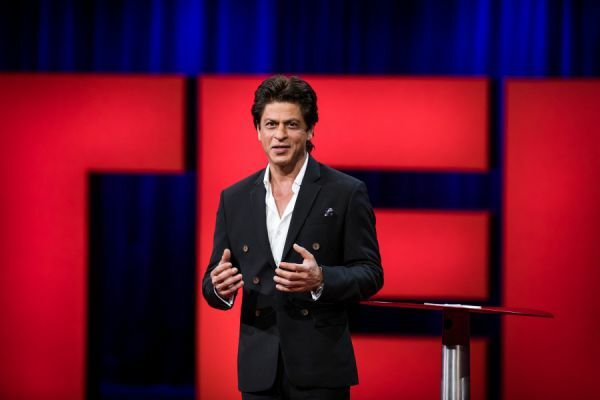 What makes Shah Rukh Khan such a big star? His money, his looks, his talent, his attitude, his style or his smile. We can't deny that all these things play some role in his success but it's his belief and the way he treats people around him that makes all the difference. 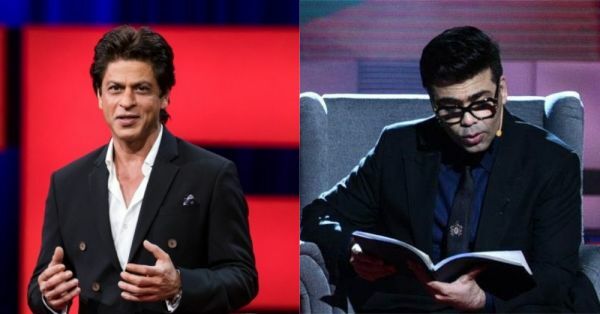 His TEDx India speech was widely talked about and he was later joined by known faces like Javed Akhtar and Karan Johar. What are we spreading apart from the inadvisable amount of carbon dioxide that's destroying the planet? A lot more. As humans, we are talented, creative, loving and caring but as a community, we've failed the environment. TED Talks have sincerely spoken about the culture of valuing the environment we live in. In his TEDx Talk, Dr. Bert Holmes speaks briefly about three major global environmental issues: acid rain, ozone destruction and climate change. Paul K. Doss is a geology professor at the University of Southern Indiana. Doss pushes students to research on human impact on the environment such as how water resources are being affected by humans and so on. In his presentation, Doss explained the damage we have caused by taking us back in time. Are we controlling our emotions or are we being controlled by them? Our relationship with emotions is extremely unpredictable. But the truth is, emotions are the ones that break us or make us. So, we can either choose to be dragged down the negative emotions like anger, jealousy etc. and allow them to lower our vibrations or choose to be happy, joyful and in love and win over them. The power of emotions is invincible only if we take care of it much like these speakers do! How would you react at your workplace the day you have had a fight with your partner? Perhaps, you'll feel distracted. Susan David is a psychologist who knows that the way one deals with his or her emotions, shapes every area of their life - relationships, career, health, family and so on. In her time on stage, she's challenging today emotional culture to teach you how blessed are we to have the power and gift of emotions. Go ahead and receive it! A little tip: Accept your emotions as they come, that's the key. What would art be without emotions? What would work be without emotions? What would relationships be without emotions? The science of emotions by Jaak Panksepp is basically a guide to our need for emotions. He's an effective neuroscientist who believes our emotions are our survival. His interesting breakdown of all emotions will leave you in awe. With the emotions, comes vulnerability but what if someone told you, it is a power. Brené Brown studies human connections. She takes interest in human empathy and love. She understands that we are wired to feel connected. The fear of disconnection can influence humans negatively. That's why when you are asked about a relationship, you bring forth your fear and naturally speak about the bad parts first, when you are asked about connection, you first choose to speak about disconnection. In her talk, 'the power of vulnerability' she digs into the feeling of shame and how the game can be turned around ones someone realises and starts believing in their worth. All you need is your spiritual awakening. Interesting, isn't it? Keep watching, keep learning, keep growing!